STMSat-1 Youngsters Told: "Only Half of the CubeSats Deployed into Space Work"
The Amateur Radio Parity Act (H.R. 1301) is among five bills that the US House Energy and Commerce Committee has scheduled for a "full committee" markup. The markup session had been scheduled for June 23, but it was postponed after the committee, with most members absent, convened on June 22 for about 10 minutes to hear opening statements. When it does meet for the markup session next month, the panel, chaired by Rep Fred Upton (R-MI), will consider H.R. 1301 and an "Amendment in the Nature of a Substitute to H.R. 1301." Earlier this month, ARRL and the Community Associations Institute (CAI) -- the national association of homeowners associations (HOAs) -- announced that they had reached consensus on the bill's provisions. Rep Upton called H.R. 1301 "legislation to protect the rights of Amateur Radio operators," in a statement he released on June 22. "Just as the law recognizes that access to broadcast satellite communications are an important part of our national information infrastructure, so too should we recognize the role of Amateur Radio," Upton wrote. "This is especially important as Amateur Radio operators can serve a crucial role in providing communications in the wake of natural disasters and other times when commercial communications networks might be unavailable. The underlying bill seeks to ensure that Amateur Radio operators are permitted to operate in deed-restricted communities. The amendment in the nature of a substitute under consideration represents a good-faith compromise between the two parties most impacted by this bill: Amateurs and community associations." According to ARRL General Counsel Chris Imlay, W3KD, the substitute bill would guarantee that a radio amateur living in a deed-restricted community -- including condominium or townhouse communities -- could install and maintain an "effective outdoor antenna." He said the agreement was achieved without disrupting 30 years of zoning case law that has interpreted the PRB-1 federal preemption and protected radio amateurs from overregulation by zoning authorities. The bill incorporates the basic tenets of PRB-1. Radio amateurs frequently complain about increasing noise from a variety of sources, so it should be welcome news that the FCC Technological Advisory Council (TAC) -- an advisory group to the FCC -- is investigating changes and trends to the radio spectrum noise floor to determine if there is an increasing noise problem, and, if so, its extent. The FCC Office of Engineering and Technology (OET) announced the TAC study in a Public Notice and invited comments and answers to questions that the TAC has posed in the notice. The comment deadline is August 11. The TAC said it is trying to determine the scope of any noise issues and has invited "quantitative evidence" of noise problems, as well as recommendations on how to perform a noise study. "The TAC is requesting input to help answer questions about the study of changes to the spectrum noise floor over the past 20 years," the announcement said. "Noise in this context denotes unwanted radio frequency (RF) energy from manmade sources." Like many spectrum users, TAC members expect that the noise floor in the radio spectrum is rising as the number of devices in use that emit radio energy grows." The ARRL representative on the TAC, Greg Lapin, N9GL, co-chairs the TAC Spectrum and Receiver Performance Working Group with Lynn Claudy of the National Association of Broadcasters. Lapin also serves as chairman of the ARRL RF Safety Committee. The TAC said that its search for "concrete evidence of increased noise floors" has turned up only "limited available quantitative data" to support its presumption of a rising noise floor. The TAC said it wants to find ways to add to the available data so it can "answer important questions" on the topic for the FCC. The TAC said that responses to the questions it has posed in the Public Notice will help it to "identify aspects of a study to determine trends in the radio spectrum noise floor." The Public Notice included information on all methods of responding to the inquiry. ARRL is planning to comment. For more information, contact Greg Lapin, N9GL. Read more. The Executive Committee of the ARRL Board of Directors has relieved ARRL Eastern Pennsylvania Section Manager Joe Ames, W3JY, of his appointments in the ARRL Field Organization, including his position as Chairman of the ARRL National Traffic Systemâ¢ (NTSâ¢) Eastern Area. The vote came as a result of a June 16 recommendation from the ARRL Programs and Services Committee, which oversees NTS. In addition, the Executive Committee voted to declare the Eastern Pennsylvania Section Manager position vacant, effective immediately. The decision by the Executive Committee results from a determination that Ames unilaterally and repeatedly communicated with officials of the Federal Emergency Management Agency (FEMA) on behalf of NTS, making commitments on behalf of ARRL without authority and in violation of the rules and regulations of the ARRL Field Organization. Those actions were contrary to the terms of the Memorandum of Understanding between FEMA and ARRL, which states clearly that ARRL Headquarters staff will be the single point of contact between FEMA and ARRL. There is no independent relationship between NTS and FEMA; the ARRL/FEMA Memorandum of Understanding is the operative document. In August 2015, then-ARRL CEO David Sumner, K1ZZ, wrote to Ames and instructed him that, unless otherwise authorized by ARRL, any communication with FEMA with respect to NTS is to be conducted through ARRL authorized representatives. ARRL learned that Ames repeatedly acted contrary to Sumner's directive, which led to the decision to cancel Ames's Field Organization appointments and to declare the office of the Section Manager for Eastern Pennsylvania vacant. In accordance with ARRL bylaws, and after consulting with ARRL Atlantic Division Director Tom Abernethy, W3TOM, the appointment of a new Eastern Pennsylvania Section Manager will be made by ARRL Field Services and Radiosport Manager Dave Patton, NN1N. The NTS Eastern Area Chair vacancy will be filled by appointment made by the ARRL Programs and Services Committee, the committee that oversees NTS. Read more. 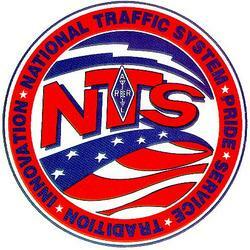 The ARRL Programs and Services Committee (PSC) will submit a motion to the ARRL Board of Directors expressing appreciation for the work and volunteer membership of the National Traffic System (NTSâ¢). The PSC motion, submitted by ARRL Southeastern Director Doug Rehman, K4AC, during a recent PSC meeting, thanked NTS members, congratulated them for outstanding service, and assured them of an ongoing ARRL public service communications role. "As Field Day approaches, the ARRL Board's Programs and Services Committee wanted to recognize the continued work of the National Traffic System, especially the dedicated rank-and-file participants who are the lifeblood of this important ARRL program," said Roanoke Division Director and PSC Chair Dr Jim Boehner, N2ZZ, who seconded Rehman's motion. "The ARRL is committed to the NTS as a key component in the League's public service communications plans." The PSC will submit its motion of NTS support to the full ARRL Board of Directors for consideration at the Board's July meeting. The Committee cited the "countless hours" NTS participants devote "to operate CW, phone, and digital nets spanning both the clock and the continent," and the more than 200 NTS members recognized with Public Service Honor Roll status in the most recent monthly listing. "NTS plays a vital role in providing a messaging component for Amateur Radio's public service mission, including preparation and training for emergency communications," the resolution asserted. It also noted that the PSC has been working to create the League's Second Century public service communications delivery plan, and, while reviewing the League's current operations over the past several years, "the PSC has seen and has greatly appreciated the valuable contributions of NTS members." The ARRL Programs and Services Committee (PSC) has appointed George W. "Bud" Hippisley, W2RU (ex-K2KIR), as the new Eastern Area Chair for the ARRL National Traffic Systemâ¢ (NTSâ¢) for a 2-year term, effective immediately. 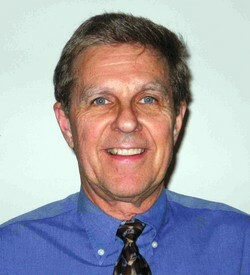 The appointment comes 2 days after the ARRL Executive Committee voted to remove NTS Eastern Area Chair Joe Ames, W3JY. The PSC reached out to Hippisley this week, and he accepted the PSC's request. This will be his second appointment to the Eastern Area Chair of NTS. New NTS Eastern Area Chair Bud Hippisley, W2RU. "We are fortunate to have an appointee who has this breadth of experience and leadership," ARRL Programs and Services Committee Chair Dr Jim Boehner, N2ZZ, said. "Bud is a man who leads by example, and his accomplishments in NTS and Amateur Radio speak for themselves." Hippisley has a distinguished resume of nearly a half-century of service to ARRL. He has been active in NTS and ARESÂ® since 1955, including his continuing service as the Eastern Area Net Manager. His leadership positions with the ARRL Field Organization include Western New York Section Communications Manager (now Section Manager) and Western New York Section Emergency Coordinator. He also served as Atlantic Division Vice Director from 1982 until 1985. "It's a privilege to be asked to take on this assignment," Hippisley said. "I look forward to working with my fellow net managers in the Eastern Area, with the other Area Staff chairs, and with N2ZZ and the entire PSC." During his previous tenure as NTS Eastern Area Chair from 1976 until 1983, Hippisley was instrumental in merging daytime and evening systems under the NTS banner, affirming NTS practices as mode independent, and inviting proponents of early digital Amateur Radio message-handling systems to demonstrate their concepts at Eastern Area Staff meetings. He is responsible for popularizing the matrix net control form still used by most Area net control stations, and he is the designer of the four-cycle System schedule that underpins NTS expandability in times of heavy traffic loads. In 2010, Hippisley received the George Hart Distinguished Service Award for his long-term contributions to NTS. George Hart, W1NJM, was the chief developer of NTS. "Of great importance to me over the years of my involvement in NTS is that the third word in its name is 'System,'" Hippisley stressed. "In the long run, the objectives for a system -- and agreement upon operational principles in response to those objectives -- are more important than our individual desires." Bud Hippisley holds a BSEE from M.I.T. and has done graduate work in solid-state physics, electromagnetics, marketing, finance, and strategic planning. He lives in Penhook, Virginia. "Grounding" is the topic of the current (June 16) installment of the "ARRL The Doctor is In" podcast. Listen...and learn! If you've never listened to a podcast before, download our beginner's guide. The topic of our June 30 episode: "Are Linear Amplifiers Really Worthwhile?" Hats off to the organizers of the Light Up the Trail event, which was held June 4-5 along the North Country National Scenic Trail for ARRL National Parks on the Air (NPOTA). John Forslin, KC8ULE, reports that 38 activations in the seven states through which the trail passes resulted in nearly 2500 contacts during the event. Activators also were positioned at the eastern and the western ends of the trail. In addition, North Country Trail NPS Superintendent Mark Weaver, one of NPOTA's most vocal advocates, recently earned his Amateur Radio license. We look forward to hearing Mark activating the trail he oversees. There are 43 Activations on the schedule for June 23-29, including the International Peace Garden Affiliated Area in North Dakota, and the Great Sand Dunes National Park and Preserve in Colorado. Tom Medlin, W5KUB, has announced that his Amateur Radio Roundtable will webcast live on Field Day weekend from the all-kids K1D Field Day site in Deland, Florida, and from selected Field Day sites across the US, and he will take calls at his Memphis, Tennessee, studio. Medlin will webcast from K1D on Saturday, June 25, from 2000 until 2200 UTC. Live video from various Field Day sites will follow for the next 2 or 3 hours, as he takes calls, Medlin told ARRL. Tom Medlin, W5KUB, on the Amateur Radio Roundtable set. "Amateur Radio Roundtable is watched around the world," Medlin said. "We invite you to be part of the show. We need your Field Day operation to send a picture or two or, if you have a smartphone, get on Skype, and call into the Amateur Radio Roundtable special Field Day show." Medlin pointed out that Field Day teams can earn 100 publicity bonus points for reaching out to the media. He has asked Field Day teams to contact him to schedule a slot on the webcast, which will be archived for later viewing in addition to the live webcast, and to learn more. Amateur Radio Roundtable is broadcast live on the web Wednesdays at 0100 (Tuesday evening in US time zones), and audio is simulcast via international shortwave station WBCQ on 5130 kHz. With New Mexico's Dog Head Fire nearly two-thirds contained, all evacuation orders and advisories for Bernalillo and Torrance counties have been lifted, and Amateur Radio Emergency Service (ARESÂ®) support has wound down. ARRL New Mexico Assistant Section Emergency Coordinator Jay Miller, W5WHN, said ARES support in Bernalillo County ceased on June 22, after operating for 6 hours a day at the Bernalillo County East Mountain Emergency Operations Center (EOC) and at an evacuation shelter in Tijeras. The Torrance County ARES team was expected to follow suit. Evacuees were being allowed to re-enter the affected area in small groups with law enforcement oversight. The nearly 18,000-acre fire destroyed 24 homes and 21 other "minor structures," fire officials said. The fire is said to be caused by humans, but an investigation remains under way. "Field Day is a go for W5WHN and the State EOC, NM5EM," Miller said. "We will have company this year at the W5WHN Field Day site -- the US Forest Service Fire Suppression teams for the Battleship Fire at the helipad near Fenton Lake in the Jemez Mountains." An aircraft drops fire-retardant chemicals on the Dog Head fire. Miller said winds and humidity have been cooperating with the effort to stanch the flames, and the National Weather Service in Albuquerque has forecast rain for the next few days. Miller credited New Mexico SEC Bill Mader, K8TE -- whose Field Day site was put off limits by the fire -- with doing "a stellar job in running the ARES operation and stepping into the breach when needed." Torrance County DEC Darryl Clutter, NX5W, oversaw his county's ARES operation, Miller noted, and Bernalillo County EC Stanton Royce, W5CO, managed the ARES operation in that county, while also working full time. 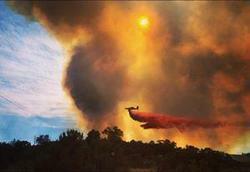 New Mexico ARES teams sprang into action on June 17 in response to the Dog Head fire. The FCC has denied the petition of an Arizona radio amateur, who had petitioned for lifetime Amateur Radio licenses. Mark F. Krotz, N7MK, of Mesa, had filed his Petition for Rule Making (RM 11760) with the FCC last November, and the FCC invited public comments in February. Krotz wanted the FCC to revise Â§97.25 of its rules to indicate that Amateur Radio licenses are granted for the holder's lifetime, instead of for the current 10-year term. Hundreds of radio amateurs commented on the petition, but the FCC was not swayed by those favoring the idea. "Based on our review of the record, we are not persuaded that the petition discloses sufficient grounds for the requested rule change," the FCC said in a June 21 Order. "Krotz's primary argument is that extending the term of amateur licenses to the lifetime of the holder would reduce the Commission's administrative and personnel costs, but it is not clear to us that the proposal actually would enhance administrative efficiency." That's because the vast majority of license renewals are submitted online and processed automatically by the Universal Licensing System (ULS), "with minimal staff involvement," the Order said. The FCC said it had further reduced its overhead by no longer routinely mailing paper licenses. "[I]f license terms were extended to the holder's lifetime, we likely would receive more cancellations on account of the licensee's death, which are labor-intensive, because staff must carefully verify the deceased's identity and licenses in order to guard against erroneous cancellations," the FCC said in its Order, signed by Wireless Telecommunications Bureau Deputy Mobility Division Chief Scot Stone. 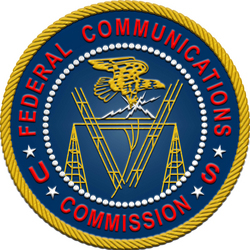 Krotz argued that the General Radiotelephone Operator License (GROL) already is issued on a lifetime basis, but the FCC said that's not a comparable situation, because an Amateur Radio license is both an operator's license and a station license, "and there is no Commission precedent for issuing a lifetime station license." Read more. A confirmed Fujita scale EF-0 tornado touched down for up to 20 minutes in Howard County, Maryland, on the first full day of summer, taking down a tall AB-105 tower at the contest superstation of Frank Donovan, W3LPL. The tornado was just part of a spate of strong storms to hit the region, dumping heavy rain that caused flooding, and high winds that toppled trees and utility poles. Donovan's station is one of the premier multi-multi contest sites in the US. He told ARRL that his location was "Ground Zero" for the twister. "The storm was extreme," Donovan said in a post to the Potomac Valley Radio Club (PVRC) reflector. "I've never experienced anything like it before. Essentially all of the trees in the front of the house and along the driveway are gone. Several power poles on Hobbs Road snapped. The 200-foot tower adjacent to the house collapsed; everything on it was destroyed." Donovan said he will have to do "a tremendous amount of testing and inspection" to determine what other damage may have occurred. The tornado, which hit just after 1 PM in western Howard County, had top winds of 80 MPH -- at the high end of the EF-0 range. It was some 1500 feet across and traveled nearly 13 miles, according to the National Weather Service. No injuries were reported. The felled tower at W3LPL supported antennas for 80, 10, and 6 meters. Donovan told ARRL that plans "are well under way" to install a 200-foot heavy-duty AB-105 replacement tower in August. Read more. 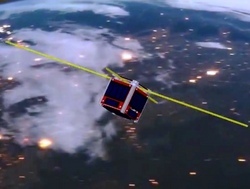 More than a month after deployment of the STMSat-1 CubeSat from the International Space Station (ISS), prospects are dim that the little spacecraft will ever be heard from. Outside of a weak signal that could have been STMSat-1, nothing has been received from the little CubeSat -- built by students at St Thomas More Cathedral School in Arlington, Virginia -- since it was placed into orbit on May 16. STMSat-1 Education Manager Emily Stocker said that NASA engineer Joe Pellegrino, who is STMSat-1's mission manager, addressed an assembly at the school on June 14. "The assembly was specifically to update the students on the status [of STMSat-1] before they left for summer vacation," Stocker told ARRL. "The feeling at the school is still hopeful, but cautiously so, as we have not yet heard from it." STMSat-1 is supposed to transmit on 437.800 MHz FM and send slow-scan television (SSTV) pictures back to Earth. "From the beginning, our mission was to inspire grade-school students -- and anyone else -- to pursue STEM careers and pique that interest," Stocker said. "We have accomplished that mission. While a [SSTV] picture would be nice, that is simply the icing on the cake." When a signal from STMSat-1 failed to show up after its release into orbit, some speculation centered on a malfunction of the antenna deployment mechanism, which called for a heated blade to burn through fishing line securing the antennas. Stocker said that, according to the antenna manufacturer, the antennas should have deployed by now, regardless of the mechanism, since the fishing line would already have disintegrated due to the harsh conditions in space. NASA's Joe Pellegrino provided an STMSat-1 status update on June 14. In his presentation to the students, Pellegrino stressed that space missions are challenging. He pointed out that the environment of space is very extreme, and that it's "very difficult to build machines that work in this environment." "Only half of the CubeSats deployed into space work," he noted. "NASA is a large organization, with thousands of smart people, and their spacecraft still fail sometimes." As an example, he recalled the October 2014 Antares launch failure, in which a few CubeSats built by university students were lost. The satellite is the first to be designed and built by grade schoolers, who have been supported along the way by NASA technical advisors and local radio amateurs. NASA's Technology Demonstration Office provided the school with a mobile "clean room" for the construction and a ground-station antenna. "The students think it is the coolest thing in the world that this mission ends as a 'shooting star' [when it re-enters Earth's atmosphere] -- and they plan to make a wish," Stocker said. Read more. Tad Cook, K7RA, Seattle, reports: Last week changes in average daily sunspot numbers and solar flux were mixed. Average daily sunspot numbers went from 29.1 to 33.6, and average daily solar flux decreased from 88.3 to 71.8. Geomagnetic indices quieted, with the average daily planetary A index dropping from 11.1 to 6.9 and average mid-latitude A index going from 10.6 to 6.4. The forecast from USAF and NOAA has predicted solar flux at 75 on June 23; 70 on June 24-29; 75 on June 30; 80 on July 1-5; 85 on July 6-7; 88 on July 8; 90 on July 9-14; 85 on July 15-18; 80 on July 19; 75 on July 20-23; 80 on July 24, and 85 on July 25-28. They also predict planetary A index at 12, 15, 8, 12, 10, and 8 on June 23-28; 5 on June 29-July 1; 25, 20, and 8 on July 2-4; 5 on July 5-6; 8 on July 7; 10 on July 8-9; 8, 20, 15, and 5 on July 10-13; 8 on July 14-15; 5 on July 16-19; 8, 12, 8, 12, and 10 on July 20-24, and 5 on July 25-28. Sunspot numbers for June 16 through 22 were 26, 36, 46, 48, 35, 22, and 22, with a mean of 33.6. The 10.7 centimeter flux was 88.2, 86.6, 83.6, 85.2, 84.3, 80.2, and 78.3, with a mean of 71.8. Estimated planetary A indices were 6, 8, 8, 5, 4, 4, and 14, with a mean of 6.9. Estimated mid-latitude A indices were 5, 7, 10, 5, 4, 3, and 14 with a mean of 6.4. This weekend is ARRL Field Day, and conditions should be good, with no geomagnetic disturbances.